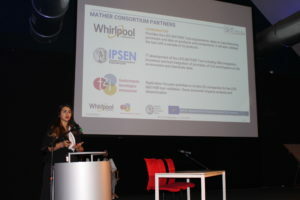 Last September 27th, the Mather Consortium organized the mid-term event at the VEGA park in Marghera (Venice) in order to present the objectives of Mather Project and to disseminate the innovative tool among industries, academia and authorities. The Consortium chose Vega Park in Porto Marghera, the industrial area of Venice (Italy), as it is an historical example, at European level, of work, industry, social redemption and injustices that primarily hit workers exposed to dangerous substances. The redevelopment process of this industrial area led to create of one of the most important science and technology park in Italy. 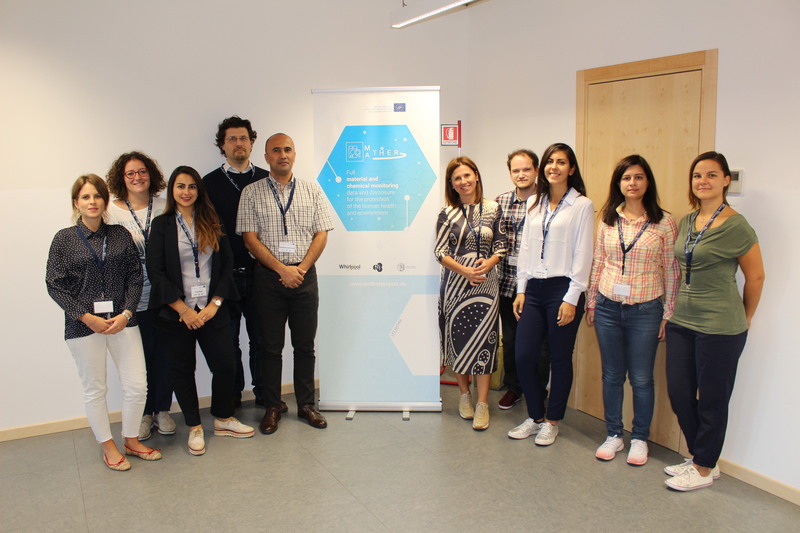 Event’s purpose was to present MATHER project to companies as well as to other stakeholders from academic and public administration, involving them in a free debate analysing several points about material, chemical and environmental issues. The speaker panel included, among others, policy makers (Veneto Region) and academic institutions (NTUA, University of Venice, University of Padova) and also two LIFE projects that had the chance to present their innovations. 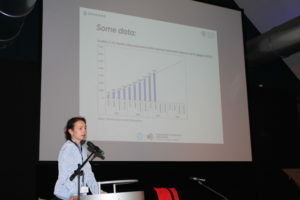 Dr. Beghetto presented the best practices in materials and environmental sustainability fields. Filippo Mazzariol, project manager for Unioncamere Veneto and APRE Veneto. Mr. Mazzariol presented an overview about the European Financial Instrument in support of environmental projects. He focused his speech on the new tools of digital transformation useful for companies to monitor their environmental impact. 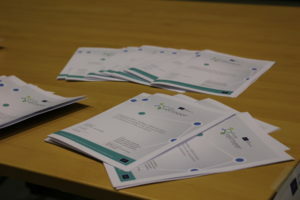 During the morning also two other LIFE projects focused on sustainability, LIFE VERMEER and LIFE AskREACH, were presented to the audience in order to show complementary best practices and to give a wider view of the LIFE initiative. As networking projects, they had also the possibility to expose their brochures and posters for enhancing their dissemination potential. The central part of the event was dedicated to the MATHER project and, in particular, to the objectives and the expected results of the tool, disclosing about the protection of the human health and environment. The final part of the event was dedicated to a round table, in which professionals interested in MATHER tool and its novelties were invited to share their best practices and opinions on these themes. Industry 4.0: new technology for the data exchange.